Dawn Best Eshleman is an author, artist, and thought-provoker specializing in the unique arena of grief, conflict and crisis coaching. An advisor to individuals as well as coaches, her programs and philosophies have helped people the world over to cope with heartache by redefining a sense of self. 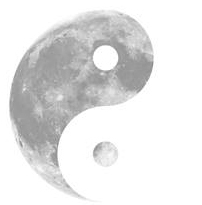 Duality Wisdom stems from the idea that all things have a counterpart which can be used to compliment and pacify them. Through understanding the harmonious balance of life, and accepting that human nature is anything but the nature of things, spiritual growth and renewal are possible. If you’ve sought me out because you feel lost in your grief, you have come to the right place. If you are here because something in your past has made a mess of your present and you now worry for the future, then you’ve come at just the right time. If you’re confused and have absolutely no idea what you’re supposed to do next, you’re taking the right steps. For years, it’s been my pleasure to help people become unstuck when life really sticks it to them. I would love it if you made yourself at home for a while, perused my blog, and perhaps picked up a book that struck your fancy. If you have time, I would especially love it if you sent me a note and told me your story. I look forward to meeting you and reaching out in return. The path to success is challenging, and it takes positivity to weather the storms that loom too far off in the distance to see from our starting point. It is important to remember that no matter how long it takes you, a goal met is still a success. While how far you go may be directly related to how much you want to work, the attempt alone has value too.